Millennials are a tricky customer base. Just when you’d gotten used to selling to one generation, with their value systems and beliefs, a whole new one comes along and renders a lot of what you do fairly redundant. Millennials look for different things than the generation above them, or the generation above that. They want a level of creativity and freedom in the way that they shop, but they also want to know exactly what it is that they’re getting into. We’re going to be taking a look at how you can succeed with millennials as a wholesale distributor, by looking into 5 different things that you can do. Cloud software has many different roles within a business, but primarily it can be used to make sure you properly connect with millennials. The cloud system means that you can deploy new services and features quickly, and not have to worry about complex and expensive IT software. This helps you to keep up with the demands of an ever-changing millennial mindset, and ensures you have a good shot at success. A customer management system is so important for people who are trying to properly engage with both their suppliers and their customers. What it does is make sure the business stays connected to its customer base. It records preferences, likes, dislikes, requests, feedback and all kinds of other things to make sure that you’re staying in touch with the people you’re trying to sell products to. Like, for example, millennials. As a wholesale distributor, you need to make sure that you are keeping an efficient warehouse in order to have the best possible success with millennials. Daniel Richmond, MD and Founder of Tic Watches, says that “you have to be completely ready to ship out a product when it’s bought. If you let a millennial down even once, you run the risk of losing them completely”. Recent consumer research found that the millennial generation are far less loyal to brands than the previous generation with just 7% of those surveyed identifying themselves as brand loyalists. Take a leaf out of the books of Tic Watches when looking for inspiration on a tidy warehouse. They have so many different watches, from Armani designs to Seiko, and everything that they have in their warehouses is coordinated, looked after and organised for maximum efficiency. The mobile is something that you have to take the time to consider when trying to win over millennials. There’s a couple of different reasons for this. First of all, most millennials will check their mobile devices first thing in the morning or when they have a spare minute, so it’s a way to get easy access to marketing techniques and opportunities. However, you need to accept that the modern millennial has access to a mobile device, and you need to tailor your business strategies to match. E-Commerce is growing. This isn’t something that anyone can deny. For better or for worse, the world of e-commerce is getting bigger and bigger. This means that you need to understand how you can properly take advantage of it. Your business needs to start having a bigger online presence – something that will encourage millennials to come and take a look at everything that you have to offer. Otherwise, you can’t expect to be able to properly connect with them and succeed. Overall, these are five things that you can do to make sure that you succeed with millennials. 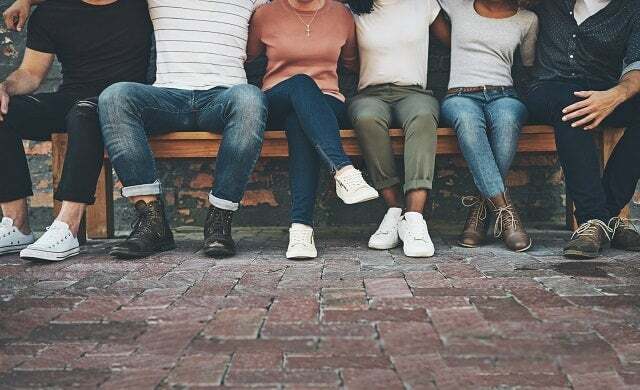 It isn’t always easy for distributors to connect with millennials, but it can be done if you know what it is that you’re doing. It’s all about appealing to what millennials consider to be important, and making sure that you’re joining the global market that so many people seem to be inhabiting.